Urban lit’s favorite ride or die couple, Trae and Tasha, are back as they fight to hold onto their volatile relationship which gets closer to exploding with each passing day. Their friends, Angel and Kaylin, are caught up in their own drama which pits brother against brother in a final showdown. Faheem and his wife Jaz, face their worst nightmare which almost takes them totally out of the game. Meanwhile, Kyron, who brought Trae to the brink of murder and Tasha to the edge of insanity, is back and hell bent on revenge. When Trae makes the deadly decision to work for the most violent Chinese crime organization in the city and renew a business relationship with Charli Li, the one woman who can never be trusted, his rocky marriage and life are threatened. Tasha is forced to step in, and things get really crazy. Can Trae escape the grips of the mob with his life and hold on to his wife? 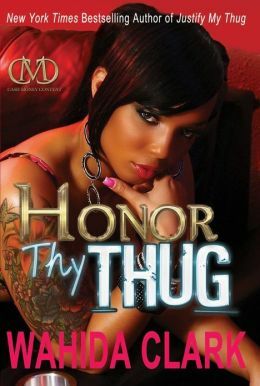 Honor Thy Thug will leave you gasping for more.